If you can think it, we can build it. No job's too small, nor challenge too big for the Marketing Works props department - where technology, craftsmanship, problem-solving and the odd bit of #8 wire come together to create incredible things! One-off bespoke items, seasonal props, model builds ... whatever you throw at us, we can do. With our expert design team and marketing experts on hand, we will help you create and execute a stunning brand experience through promotional props. 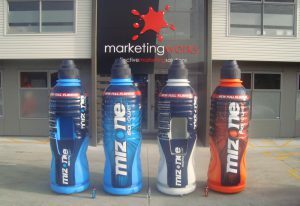 Our products are the perfect branding solution for a huge range of situations. Whether you are attending an event, generating sales or simply looking to make a splash, Marketing Works is the best partner for your exercise. Are you looking to bring your business to life through 3D promotional props? Marketing Works can work with you to create a stand-out 3D prop that puts your company on the map. If you are really looking to stick in the minds of your audience, our props are the perfect way to do it. 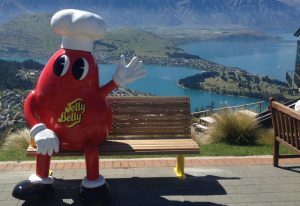 Auckland brands trust Marketing Works to build props, signage and displays that capture their ethos. With our 3D promotional props, you can promote your products the way you want. With our expertise in prop design and creation, we can help you bring your brand vision to life. Our in-house services allow us to produce high-quality props made to impress. With our competitively priced services, in addition to our other branding and marketing capabilities, Marketing Works is a one-stop promotional partner. For custom or speciality props get in contact with our team today for a chat about your unique needs. If you are going to be at an event with a number of other businesses, you want to make sure that your presence is known. 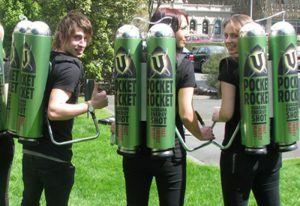 A promotion or events prop from Marketing Works can help you do just that. With our solutions, your customers can engage, experience and interact with your brand in an intimate and special way. Marketing Works can help you create promotional props to suit a wide variety of purposes. Check out our past work for examples of our leading promotional and branding services. If you have any questions, feel free to contact us and we will be in touch with you as soon as possible.